A dental crown is a cap that is used to restore a tooth. It can improve a tooth’s aesthetics including its shape, size, and color. Moreover, it’s said to also strengthen a tooth by improving the manner in which you bite. Dental crowns are similar to the shape of a tooth which is why they encase the entire tooth when they are cemented into place. A bridge involves filling the gap in between teeth. Missing teeth can cause several issues including a bad bite pattern and a poor smile. In some cases, it can also lead to severe gum diseases and even TMJ disorder. Both dental crowns and bridges are a common practice, however, you need to be well aware of the applications of each to be able to make a decision between the two. Who Should Get Dental Crown or Bridge? If you happen to have cracked, crooked, uneven or weak teeth, then a dental crown is the right choice for you. It’s also an effective procedure when you’re experiencing tooth decay and toothaches. 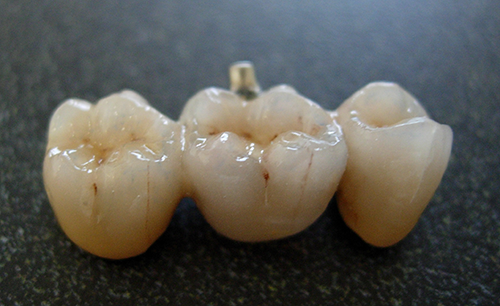 When it comes to having large gaps between the teeth, a person fits in as a candidate to have a bridge. However, ensure that you’re not suffering from weak bones because when you get the bridge implanted, your jaw bones should be healthy enough to support the volume of the device. When you have gaps between teeth or are losing teeth, then it might be possible that you’re undergoing a bone degeneration process. Under such circumstances, you need to consult a dentist to get X-rays of your jaw structure and ensure that you’re a good fit for the procedure. How Do You Choose a Dentist For a Dental Crown or Bridge? Choosing a qualified dentist for a dental crown or bridge is an essential task. The procedure is common and routine, however, make sure that your dentist practices international standards of treatment and care. For example, medical certification is proof of your dentist being qualified for the job and you can also inquire about their educational history just to be sure. Which One is Right For You – a Dental Crown or Bridge? As noted above, crowns and bridges serve different purposes. If you have a deteriorating tooth, a crown might be the better option. However, if you’ve have missing teeth, a bridge is the better decision. Ultimately, though, the wise choice is to seek the recommendation of your dentist regarding what procedure best fits your needs. Visit us at Kirkland Family Dentistry so we can help you make this decision.